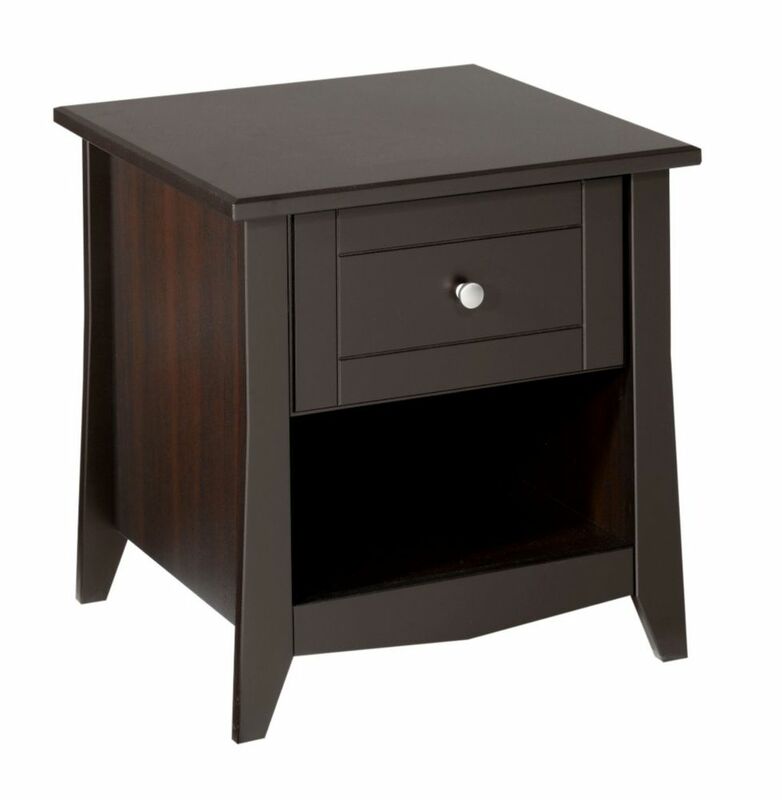 Elegance End Table from Nexera features 1 convenient drawer at the top and an open section at the bottom. Pair it with matching Elegance Coffee Table and Entryway Table for a complete set. Elegance Collection from Nexera is offered in a rich espresso textured lacquer and melamine with refined construction details and decorative metal handles. It proposes a complete collection for your living room, from occasional tables to TV stand and storage. Within a compact space, choosing the right pieces of furniture is crucial in order to feel relaxed and comfortable. Maximize every square foot of your room with Bestar's Small Space units! Durable commercial grade top surface with melamine finish that resists scratches, stains and burns. Thanks to the Lift-top mechanism, you can quickly and quietly adjust the top surface from standard (15 inch) to elevated (23 inch) position. Lift-top functionality allows dining and working while enjoying the comfort of your sofa. Large storage compartment under the table top to keep you organized. The 2 open compartments are accessible on both sides of the table. Assembly Required. Elegance End Table from Nexera Elegance End Table from Nexera features 1 convenient drawer at the top and an open section at the bottom. Pair it with matching Elegance Coffee Table and Entryway Table for a complete set. Elegance Collection from Nexera is offered in a rich espresso textured lacquer and melamine with refined construction details and decorative metal handles. It proposes a complete collection for your living room, from occasional tables to TV stand and storage. Elegance End Table from Nexera is rated 5.0 out of 5 by 2. Rated 5 out of 5 by Marie from Nexera End Table I bought this a little while ago and I'm so happy I did. The drawer adds an awesome feature and hides away remotes, etc. Rated 5 out of 5 by katelyn from easy instructions and assembly I bought 2 of these tables just before Christmas. I needed a table with storage space and these filled the bill. The were so easy to assemble I had them both together and in place in the same day! I was so happy with them that I chose a Nexera chest of drawers as well and it was easy to assemble too.